“We’ll see about that!” replied Lo Llama. “It can take forever to get into the Llamalympics,” said Timmy. “All the llamas from all over the world travel to run in the Llamalympics,” said Lo. 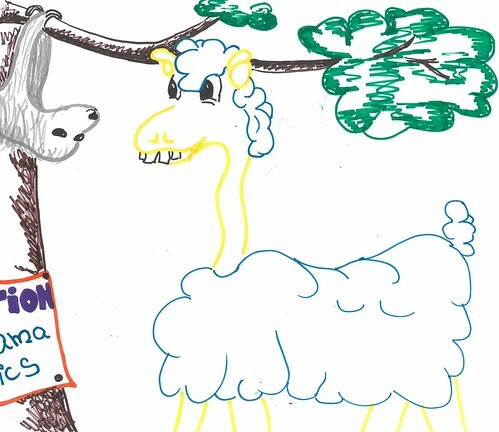 Then, all of a sudden, Sassy Llama came up to the tree-house, and Lo and she started fighting about the race: they both wanted to get into the llamalympics. Timmy threw a giant apple at Sassy Llama, and she tripped over her dress, ripped it and fell out of the tree. “That’s what you get for waking me up when I’m trying to sleep!” Timmy roared. “Whatever. Now I need a new dress,” mumbled Sassy llama. “What did you say?” Asked Lo. “Nothing,” said Sassy llama, and walked off. The next morning, they made their way to the Llamalympics practice day. They walked up the stairs, and had to do a speed test: if you were slower than 1km/h you weren’t allowed in! 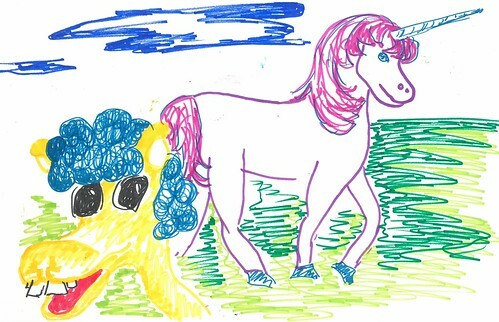 After the speed test, they saw a unicorn, and Lo ran away because he was afraid of the unicorn horn.